In a delightful column, Charles C.W. Cooke, editor of National Review Online, skewered the Washington press corps, which is broken. He blamed not President Donald John Trump for this breakdown. Of course not. President Trump exposed how worthless the press is. Cooke wrote, "Not since Florence Foster Jenkins [an heiress who dreamed of becoming an opera singer, despite having a terrible singing voice] have Americans been treated to such an excruciating example of self-delusion. The most vocal among the press corps’ ranks cast themselves openly as firefighters when, at worst, they are pyromaniacs and, at best, they are obsequious asbestos salesmen. 'You never get it right, do you?' Sybil Fawlty told Basil in Fawlty Towers. 'You’re either crawling all over them licking their boots or spitting poison at them like some Benzedrine puff adder.' There is a great deal of space between apologist and bête noire. In the newsrooms of America, that space is empty." Befitting his station as a journalist, Cooke exhibited no self-awareness as he ignored the numerous leaps to conclusion that his site recently made, most notably saying the Covington Catholic High boys spit on the cross. But his lampoon of the papers was fun. "The pattern is now drearily familiar. First, a poorly attributed story will break — say, 'Source: Donald Trump Killed Leon Trotsky Back in 1940.' Next, thousands of blue-check journalists, with hundreds of millions of followers between them, will send it around Twitter before they have read beyond the headline. In response to this, the cable networks will start chattering, with the excuse that, 'true or not, this is going to be a big story today,' while the major newspapers will run stories that confirm the existence of the original claim but not its veracity — and, if Representative Schiff is awake, they will note that 'Democrats say this must be investigated.' These signal-boosting measures will be quickly followed by 'Perspective' pieces that assume the original story is true and, worse, seek to draw 'broader lessons' from it. In the New York Times this might be 'The Long History of Queens Residents’ Assassinating Socialist Intellectuals;' in the Washington Post, 'Toxic Capitalism: How America’s Red Hatred Explains Our Politics Today;' in The New Yorker, 'I’ve Been to Mexico and Was Killed by a Pickaxe to the Head;' in Cosmopolitan, 'The Specifics Don’t Matter, Men Are Guilty of Genocide.'" Cooke was being modest. When the bloggers eventually proved the story false, National Review's reaction would be "Trump's Gloating About a Press Error Is Unpresidential." Think not? Consider this: in Cooke's piece he could not defend President Trump without simultaneously attacking him, as Cooke wrote, "But he has not — ever — 'attacked the free press;' he has not prevented, or attempted to prevent, the publication of a single printed word; and he has made no attempt whatsoever to change the law that he might do so. Rather, he has repeatedly — and often stupidly — criticized the press corps." Acted stupidly. Where have I heard that before? Oh well. I will remember later. My point is President Trump is a victim of a malevolent press, and National Review writers not named Conrad Black or Victor Hanson are beginning to admit it. Cooke ended his piece, "The greatest service that Donald Trump has rendered these United States is to have exposed the many ailments of which he is a symptom but not a cause. We had political division and cultural alienation before him. We had overbearing government and an imperial executive branch before him. We had media that were arrogant, parochial, and impenitent before him, too. Alas, they have grown yet worse since he arrived." Before, the press could hide its disdain for Americans. Now reporters openly show their fangs. So does the Deep State. I hope that Cooke realizes that if they succeed in ending Donald Trump's presidency prematurely, the Deep State will go after the rest of us. We 63 million supporters of President Trump certainly are well aware of our peril. Thanks for pointing out the National Review is itself at fault, and has certainly not covered itself in glory. I grow tired of the customary insult of Trump before the column ends just to signal they still think Orange Man Bad. It's a punchline really. Cooke makes fair points. But he didn't need to make the story about Trump. He could have used his own publication's treatment of the Covington incident - a perfect example of the press charging in, only to retreat in humiliation. That debacle rated one passing mention. It deserved more. Cooke comes off like the 7yo scolding the 5yo for not wiping his boots. The Bear, awakening briefly from hibernation, finds yet another Uniparty Hoax posted, for all to ponder. Let No Lie Go Untold & No Fake News Left Unspread! Brietbart was the bookmarked go to for current actual news on the Uniparty Fake News nitwitworks, so, peruse the authentically fake news nitwitworks at your individual discretions. Thank you Don, for going where I don't care to venture to find this piece. Cooke said, "In the newsrooms of America, that space [between apologist and bête noire] is empty." He should've included the space between his ears, which is also an echoing void. BTW- typo in 8th para: "in Cooke's piece he could not defend President Trump with[out] simultaneously attacking him," which is one of the most annoying things about the "journalists" at NRO. They always have to insert some spite; they like the flavor better once they've peed in it. What took these guys so long to finally come around? After Covington and their latest hit piece that was retracted days later, I automatically back out of their links once i see its NRO. I think NR has been working for the other side while Buckley was still alive. Probably started back when Whitaker Chambers was still there, and partly why he left. Love this post Don! I would think the historians (real ones, not social justice warriors) are going to have a wonderful time dealing with this era. Think about how often the news media gets stories wrong nowadays even with video coverage of the event. What makes you think historians can or will be more accurate? Don't forget, "News is the first draft of history." History books in the future will almost certainly contain many of the lies we see in the news. Progressivism is killing the study of history and other social sciences, which isn't entirely unreasonable considering that progressives basically created social science as we know it today. I'd love to hear what Paul Johnson has to say about the last 5 years but he retired 8 yrs ago. Two of the first sites to jump on the Covington kids as being racists and such were Twitchy and National Review. Note this also occurs on other subjects. 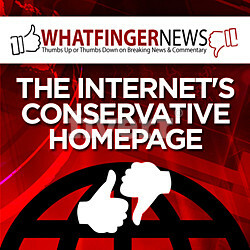 We spend as much time reading how bad we are from the sites that say they're conservative and all for us. Except when they're not. They don't get what Trump does. He creates a lot of chaos just to rattle the Press' cage and see them react to him instead of him reacting to them. Journalism attracts the most dishonest, least verbal applicants. Most were professional students. who failed to graduate on time because of excessive beer-drinking proclivities. National Review is part of the malevolent press that victimizes President Trump. The exposition of worthlessness between Trump an the press is mutual: The press has exposed how worthless Trump is; and Trump has exposed how worthless the press is. If you think Trump is worthless, please give your tax cut back to the IRS. They will take it.